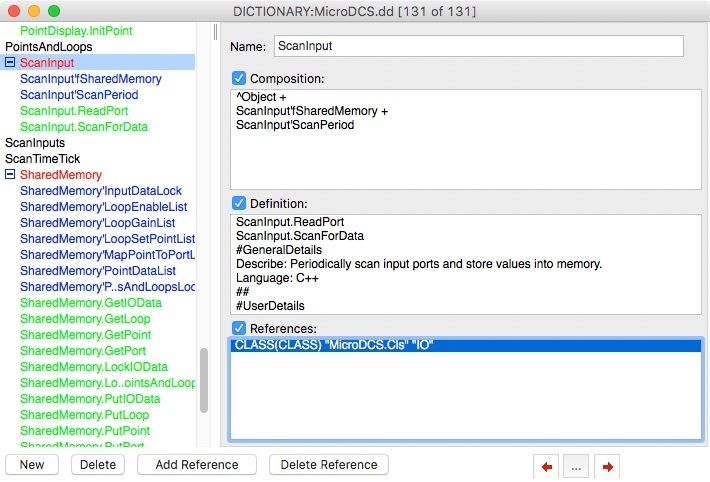 The Dictionary window is used to define data terms and relationships in the system being modeled. The left side of the Dictionary window shows an alphabetical list of entries in the Dictionary. The right side of the window shows detailed information on a particular entry. To see the details of an entry, double-click its name in the left hand scrolling list. The Dictionary may contain many types of entries. An entry can be elemental or use its Composition field to create a data structure that references other dictionary entries. Many types of diagram objects have associated dictionary entries. Although you can edit dictionary information directly, usually the information is added indirectly when you edit diagrams.